ARLINGTON, VA - FEBRUARY 14, 2018 - Hobsons, the leader in education technology and the company behind Naviance, Intersect, and Starfish, today announced that Kim Oppelt, Director of Education and Outreach, will facilitate a panel discussion to help school districts achieve a more holistic approach to college and career readiness at the AASA Conference on Education in Nashville this week. Oppelt will moderate a panel of superintendents – including the current President of AASA, The Superintendents Association, and a finalist for the group’s “Superintendent of the Year” – discussing the importance of considering more than GPA and standardized test scores in determining whether students are college and career ready. Changing the Conversation: A Holistic Approach to College and Career Readiness, scheduled for Friday, February 16, at 3:45 p.m., showcases the insights of three superintendents who are embracing the Redefining Ready! movement, helping students to understand that grades and test scores are not the only predictor of success beyond high school. With ESSA and state requirements evolving to incorporate college and career readiness benchmarks, districts are expanding their efforts to prepare all students for postsecondary success. With the help of the Redefining Ready! movement, school districts are changing the conversation to spread the responsibility of college and career readiness to all stakeholders. The superintendents will discuss how district leaders are changing the conversation to incorporate SEL, non-cognitive skills, workforce experience, and course rigor into the definition of postsecondary readiness. They will also discuss strategies involving students, staff, and the entire community to promote student success. In addition to the panel discussion at AASA NCE, Hobsons will release Prioritizing the Future: Superintendent Perspectives on the State of College and Career Readiness, the first of several research briefs detailing the results of a nationwide survey of K-12 school leaders that Hobsons conducted in partnership with AASA. Hobsons’ college and career readiness team will have a presence at Booth #600 in the Exhibit Hall throughout the conference to allow attendees from across the country to network with each other and learn more about helping students succeed. 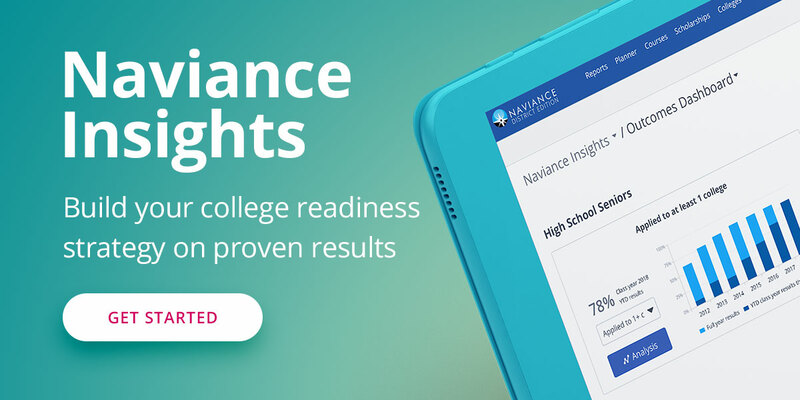 To learn more about Hobsons’ Naviance, visit https://www.naviance.com/.